Luke into Jesus is a guide to understanding what is written about Jesus in the book in the Bible which is called Luke. - Younger readers will find that the words used are simple and easy to understand. - Readers who are new to studying the Bible will find clear explanations of things that they may not have learned about before. - Older readers who know the stories well will find more for them to discover. 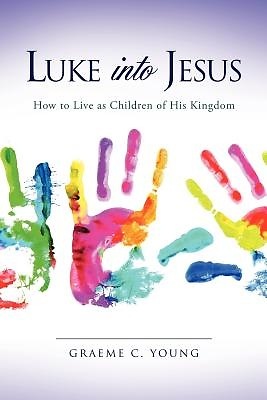 - Families or small groups who use this book as they read Luke together will find plenty to talk about. The purpose of this guide is for us all to be ready for everything that Jesus wants us to be and to do as children of his Kingdom, whatever age we are. Graeme Young from Scotland believes and has seen that God wants to use all ages in partnership in the work of Jesus' Kingdom. He has encouraged children, young people and adults to grow in their experience of the Holy Spirit and in their understanding of the Bible. He likes to make teaching on important issues easy to grasp for young and old, for new and experienced followers of Jesus. His writing reflects the importance he sees in having resources which will help him and others to be ready for revival.